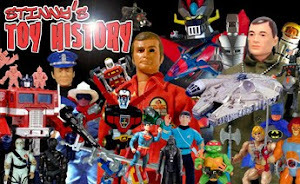 Stinny's Toy & Action Figure News Network: TOY NEWS FOR 12/5/2015 - HOT TOYS - MMS - STAR WARS - BOBA FETT COMING SOON? TOY NEWS FOR 12/5/2015 - HOT TOYS - MMS - STAR WARS - BOBA FETT COMING SOON? This blurry image image of a Hot Toys produced Boba Fett figure just leaked online. Nothing official has been announced yet, but this is clearly a Hot Toys Boba Fett figure. Based on the base the figure includes, some have speculated that this may be a 1/4 scale figure and not a 1/6 scale figure. While I think that would be cool, I'm still thinking that this is a 1/6 scale figure. After all, their Bespin Luke was 1/6 scale and also included a diorama "base" display. Considering that Hot Toys has the official images produced and ready for release, I'm sure we'll see something official from them soon.